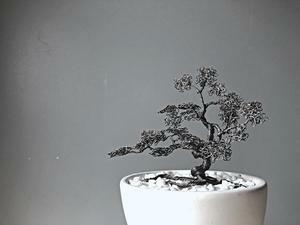 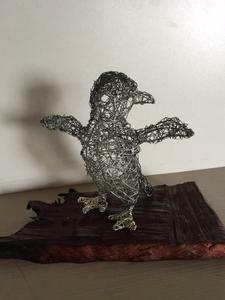 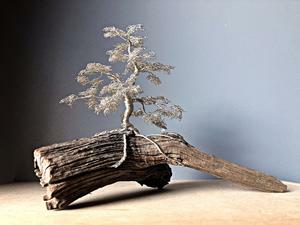 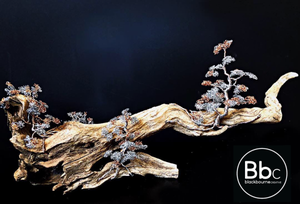 Wire bonsai sculptures handcrafted in Perth, Western Australia. 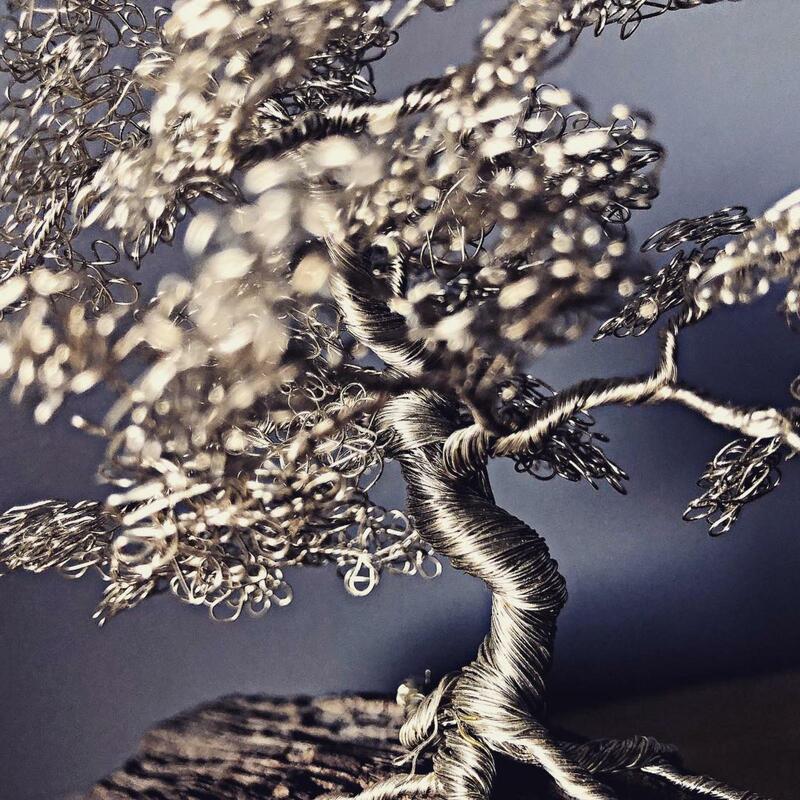 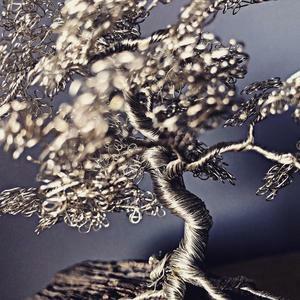 Each one of a kind piece is made from twisted wire and held securely by friction alone... with many hours of fine detail work taken to construct, shape and mount each bonsai tree. 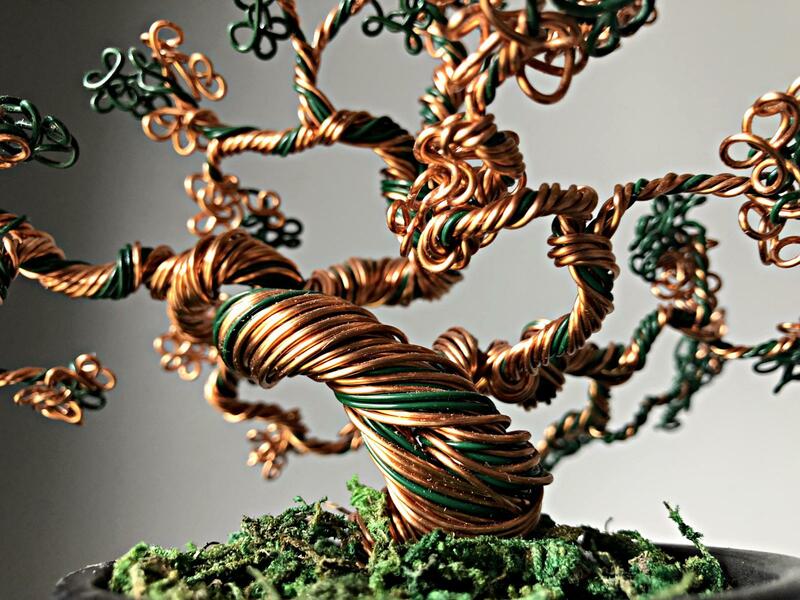 Every length of wire used in our trees runs uninterrupted from the root to the leaves creating a harmonious yet sturdy structure. 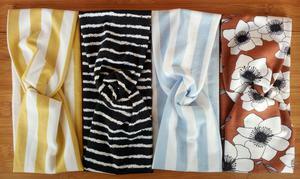 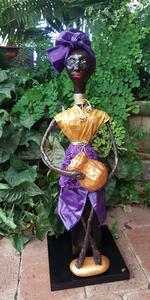 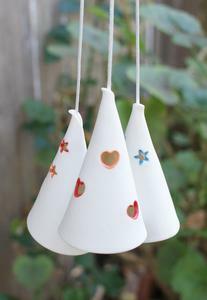 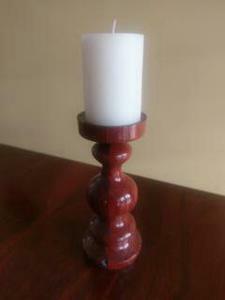 Availabile in a variety of colours and sizes we are also happy to custom make.